Last year, when I was still just a visitor to Newcastle I was trying to organise a surprise day out for Simon's birthday. He'd mentioned that he loved bowling so I decided to do a little research. 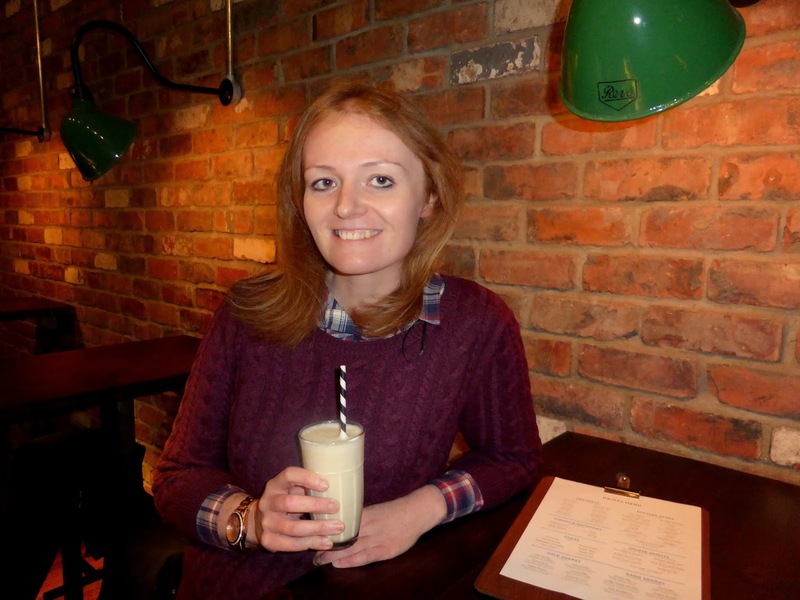 I was a bit shocked when I discovered that there wasn't really anywhere in Newcastle that we could go. 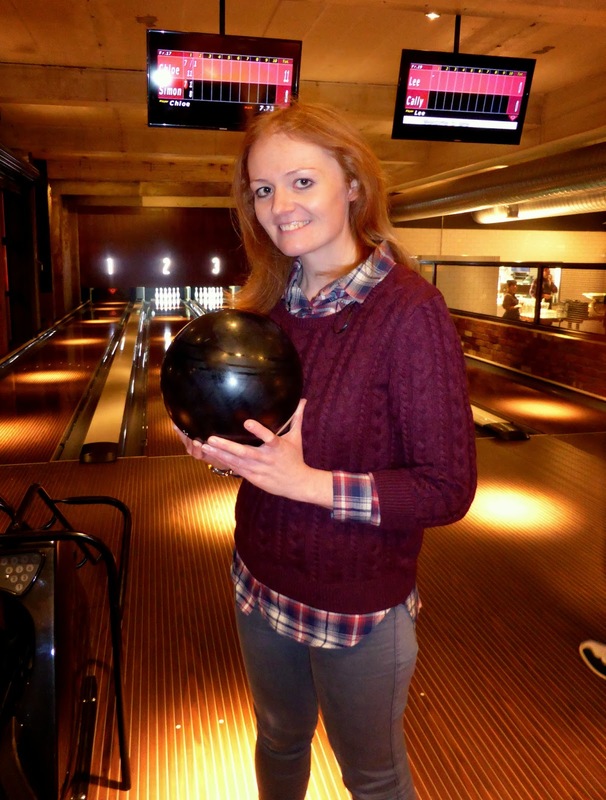 We ended up having to book a bowling alley in London. 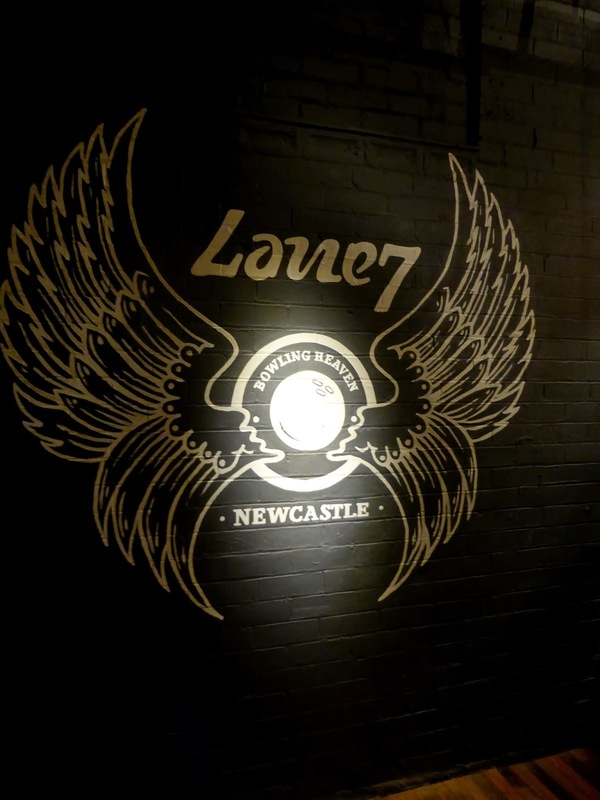 Fast forward 10 months and this week Newcastle welcomes its first ever "boutique" bowling alley, Lane 7. I've been very intrigued about this project from the start so was very excited when those of us who have stalked Lane 7 from the beginning got the opportunity to attend pre-launch parties and experience some food and fun before the doors were thrown open to the public. 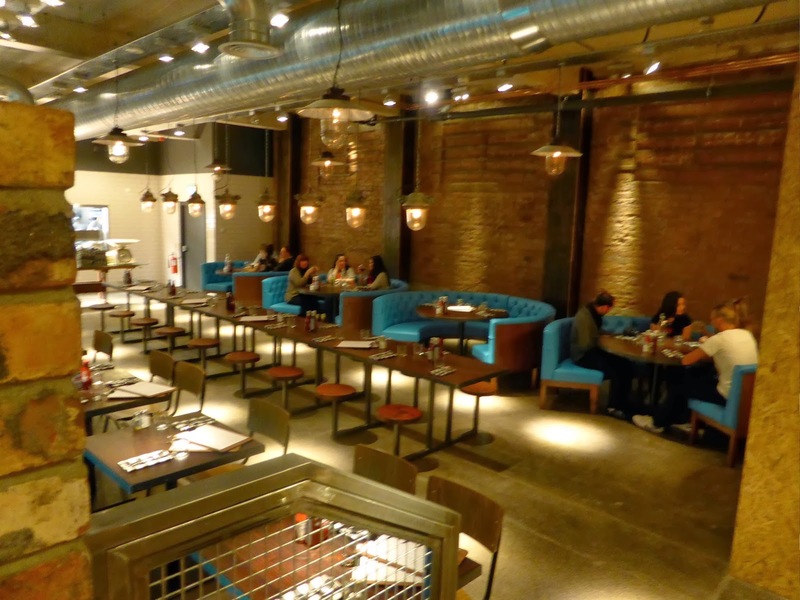 Lane 7 is a two floor re-styled warehouse on St James Boulevard and let me tell you, it looks amazing. Think big open spaces, lots of exposed brick and beautiful polished wood. 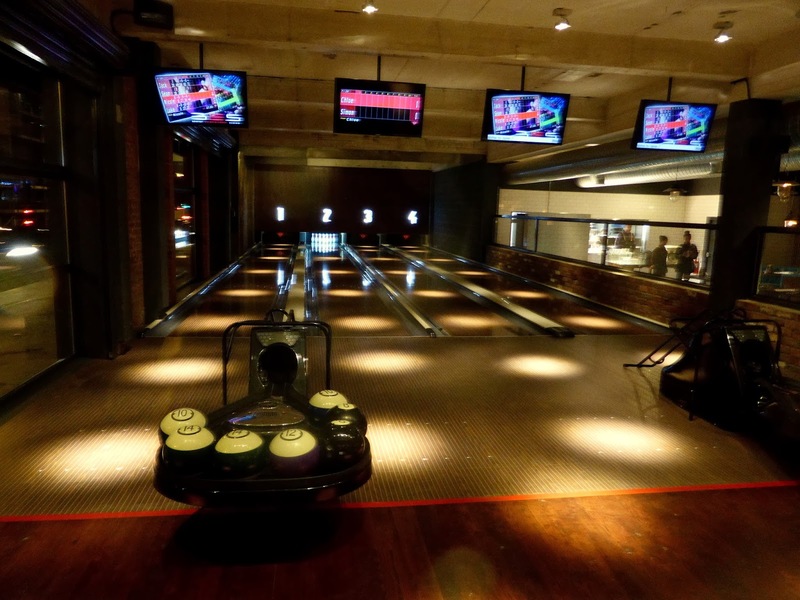 It really is a whole lot better than your average bowling alley. We were booked in to bowl at 7:00 pm which meant we were one of the very first through the doors, made extra special by the fact that we got to put our feet into bowling shoes that had never been worn before. 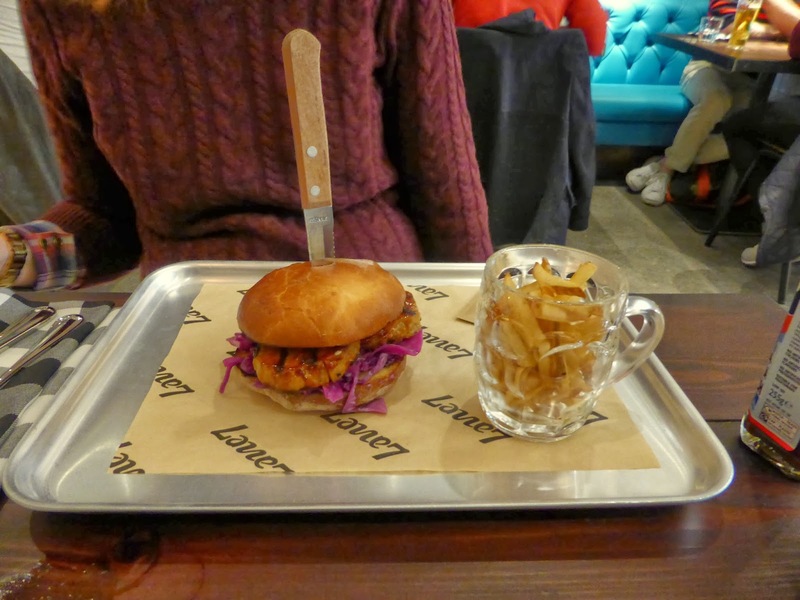 We were shown to Lane 2 and settled down at our very own "Lane 2" area to peruse the drinks menu. 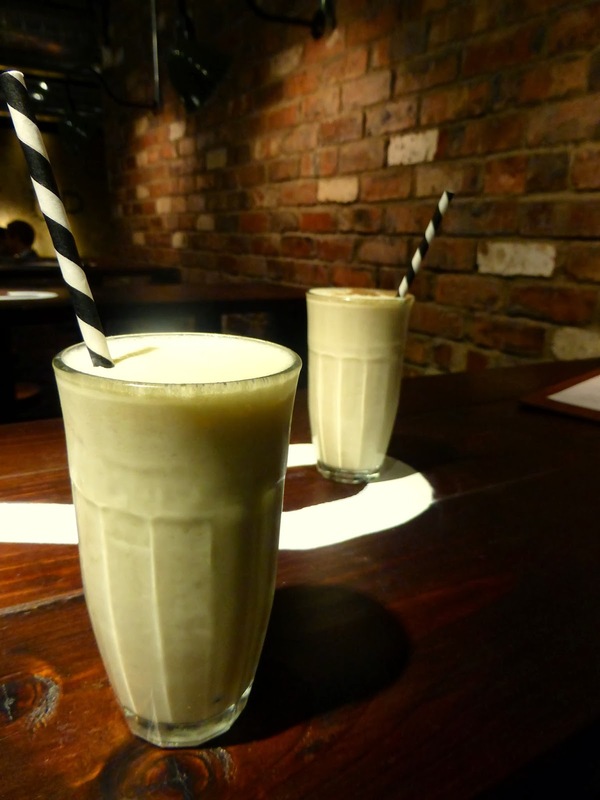 As we were feeling the American vibe we decided on milkshakes. They were lovely, but a little bit on the small side. The less said about bowling the better, I was as usual completely rubbish and took very little care in how I threw my bowling ball down the lane. Unfortunately Simon used to bowl in a bowling league and therefore pays attention to what he's doing and as always he wiped the floor with me. Straight after bowling we were shown into the dining area next to the lanes. Forever thinking about our tummies we were very excited to try the food. We were asked to pick a main each followed by a dessert to share which would be Chef's choice. Simon opted for the pulled pork burger and I had the sausage burger, wanting the full experience we decided to half each burger and share our meals. 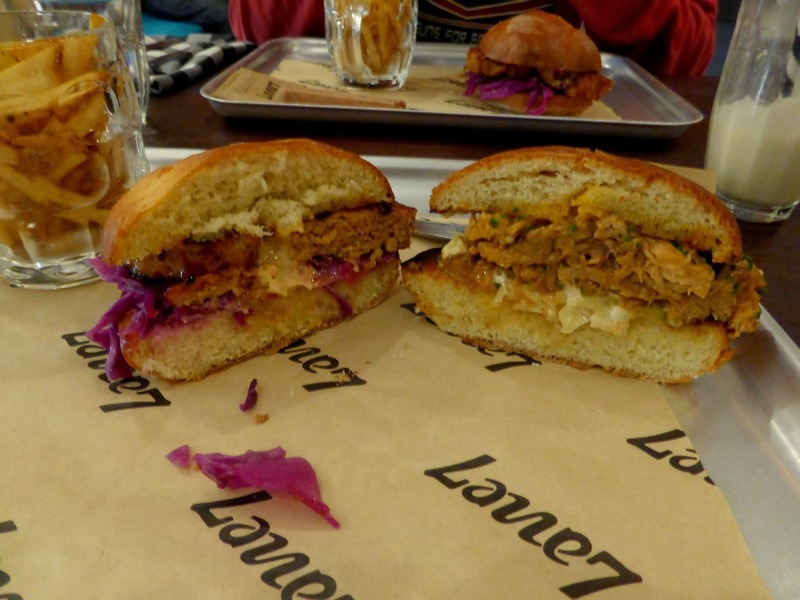 Now I know I get excited about food quite a lot on my blog, but I really can't emphasise enough how gorgeous the food at Lane 7 is, they were quite frankly the most delicious burgers I have ever tasted - they were stuffed full of the most amazing flavours. 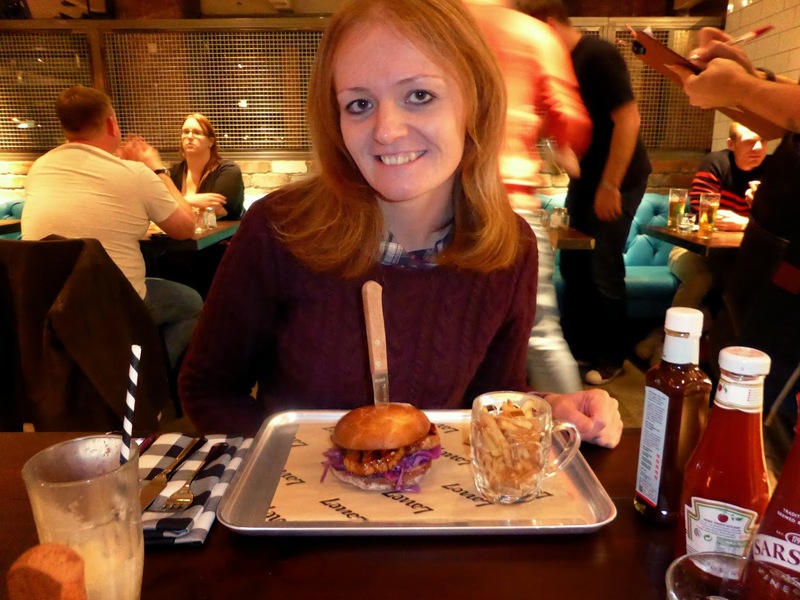 I highly recommend the pulled pork, it quite literally melted in my mouth. Next was the dessert, I was secretly hoping that Chef would treat us to a Mississippi Mud Pie but we were equally as pleased to receive the Lemon Meringue. WOW! It was so perfectly creamy and the ice-cream it came with ... mmmmmmmmmmm! No meal is complete without a sneaky night cap so we moved to the bar to sample some drinks. The bar is huge and feels effortlessly cool with loads of places to plonk your bum and have a good chat with friends. 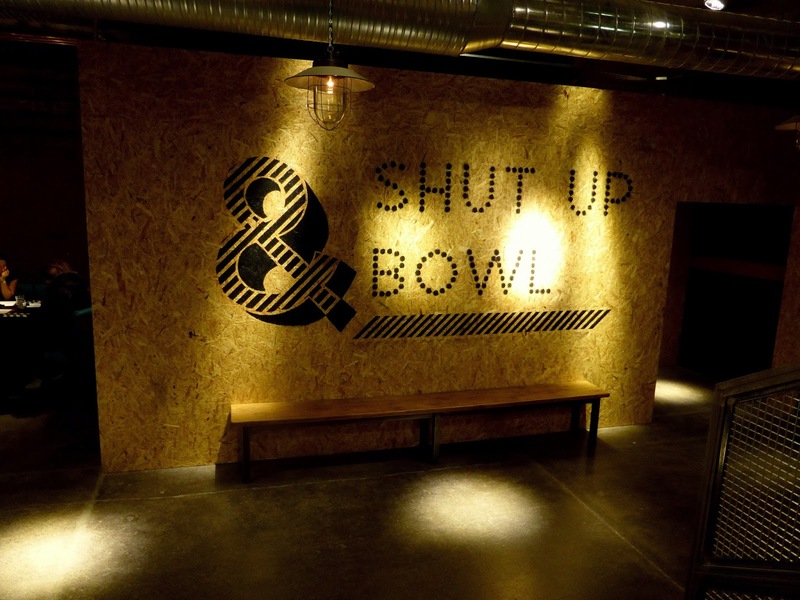 We finished our evening off with a little snoop upstairs where we discovered another four bowling lanes, a huge collection of pool tables, some ping pong and the exciting promise of a karaoke room. Thank you so much for treating us to such a lovely night Lane 7 ... we will most definitely be spreading the word and will be back again soon.